You love being active, but sometimes sports or other activities may leave you injured. If you have a sprain that’s not getting better at home, you may need expert care from Richard Hochman DPM, LLC, in Coral Gables, Florida. 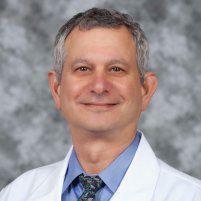 With more than three decades of medical experience, he is an expert in the diagnosis and treatment of sprains. He’ll help you prevent lasting damage. Find out how by calling or booking a consultation online today. Sprains are caused by stretching or tearing your ligament. A ligament is the fibrous band of connective tissue that connects your bones and stabilizes your joints. Sprains can happen a variety of ways. Falling and landing the wrong way on your foot can cause a sprain. You can get a sprain by running on an uneven surface. Sprains can stretch or tear your ligament or knock your joint out of place, causing pain and other symptoms. Sprains are treatable with professional care. Failing to treat a sprain promptly or thoroughly can lead to unstable joints and chronic pain. What are the symptoms of sprains? When a sprain happens, you may feel a pop or tear in your joint. Are there different kinds of sprains? Grade 1 - Caused by an over-stretched ligament. You feel mild pain and swelling. Grade 2 - Caused by a partial tear of your ligament. You can’t put any weight or pressure on your ankle or foot. Grade 3 - Caused by a complete ligament tear. You’re in severe pain and your foot or ankle feels extremely unstable. Dr. Hochman may suggest imaging tests to pinpoint the nature of your sprain. He’ll create a treatment plan for you that may include physical therapy, medication, or supportive devices to alleviate pressure and allow the to sprain heal. These supportive devices may include walking boots and crutches. In very rare cases, you may need surgery to repair joint damage and restore your stability. If you think you sprained your ankle, and you’d like expert care to get you back on your feet again, call or book a consultation online today with Richard Hochman, DPM.